Reach Out and Read is a national organization that serves almost 4.5 million children throughout the United States. The organization aims to help children succeed in school by developing critical reading skills early on. This is accomplished by partnering with doctors. At the end of each well-child care visit, the doctor gives the child a book! They have found that children served through Reach Out and Read score higher on vocabulary test and enter kindergarten with a higher vocabulary and stronger language skills than their counterparts. At the Oak Park WellSpace clinic, our Reach out Read volunteers supplement this program by contributing four hours a week to read to the children waiting for their clinic appointments. In addition, they are always looking for ways to promote the importance of reading and literacy. 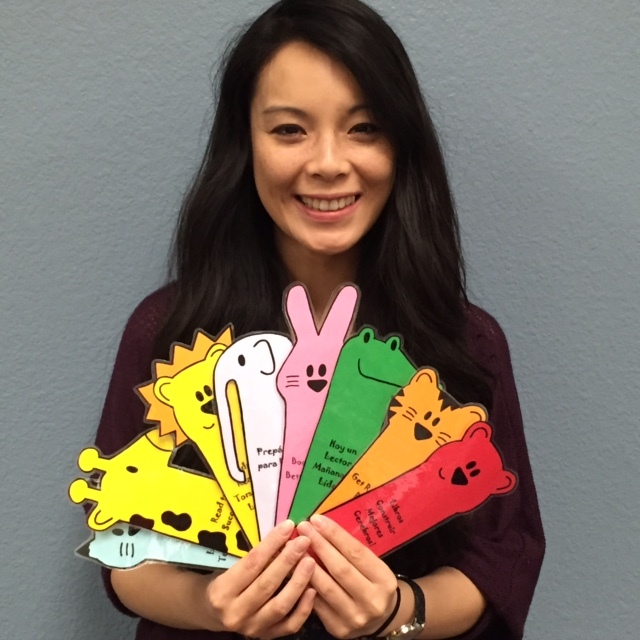 For example, Jennie Hum, a former member of the leadership team, created bookmarks and appointment cards that doctors give to the families along with the book. These materials have tips on the back on how to read to their children based on their age.